Kristoffer Quiaoit and Victor Macias enter the Shark Tank seeking $300,000 for a 10% share of their company, Nui Cookies. Their cookies are a sweet treat for anyone on a low carb Keto diet. Each cookie contains only 1 gram of sugar, 2 grams of carbs, 140 cal and 6 grams of protein per serving. A whole box of Nui Cookies contains less sugar than one traditional cookie. Their product has found some traction in the market and they have sold $1.1 million (netting $35,000) over the last twelve months with their business primarily being done on their website. To promote their product, they reached out to influencers in the Keto space which has proven to be successful. 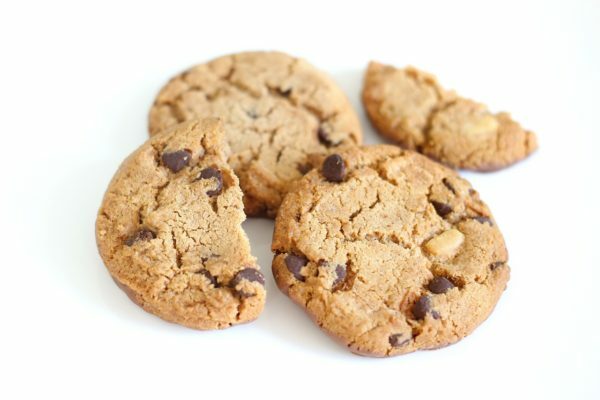 They have recently partnered with a copacker which they are hoping will increase their speed of manufacturing as they are struggling to keep up with the demand for their cookies. Their goal is to get to 75% gross margin but they need strategic manufacturing partners and cash for inventory to reduce costs. Because he has a competitive company, Mark declines to make an offer. Lori shares that she is can’t get close to their valuation and also will not be offering them a deal. Mr. Wonderful, Kevin O’Leary, offers $300,000 for a 2.5% stake and a royalty of $1 per unit which drops to 45 cents once $300,000 is recouped. Barbara Corcoran also makes an offer for $150,000 + $150,000 line of credit, for 15% stake and a 50 cent royalty in perpetuity. While Kristoffer and Victor are considering these offers, Alex Rodriguez shares that he is touched by and connects with their back stories of being children of immigrant parents. He shares that he knows what it is like to be poor, hungry and driven (PHD). He offers them $300,000 for 25% ownership in the company. After discussion an negotiation, they agree to take this deal. What do you think about Nui Cookie’s product and Alex’s offer? Would you purchase this product? Sound off in the comments below!